Marjorie is an Award Winning International Makeup Artist, Image Stylist & Hair Stylist with invaluable knowledge of the industry. She also holds a Bachelor of Science degree in HRM which has helped serve her well over the years dealing with clients. Her hard work and dedication to the craft has made her one of the most active bridal makeup artists in the Philippines traveling up and down the country, to Singapore, Bali and Malaysia to perform her art. She has been the Official Head Makeup Artist for local and global brand events like Netflix 'Altered Carbon' 'Orange is the New Black' and a Series of Unfortunate Events she also has multiple TV guest Demos, Interviews and awards to her name. Although she was already well versed with the skills and experience she acquired over the years, her passion for excellence drove her to further her studies at the 'International Makeup Association' accredited 'London School of Makeup' in the heart of the world famous West End of London, Trained by celebrity Makeup Artists from London, Paris and Milan she is considered a HD & Airbrush Makeup specialist. Marjorie founded the 'Art Of Makeup Institute' to pass on her knowledge, Experiences and skills to students wanting to make a profitable career from their passion or individuals wanting to increase their knowledge of personal makeup application. 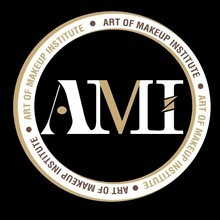 Whatever your skill level 'The Art of Makeup Institute' has a course for everyone.